Create a team of fighters from Nickelodeon's most popular shows. 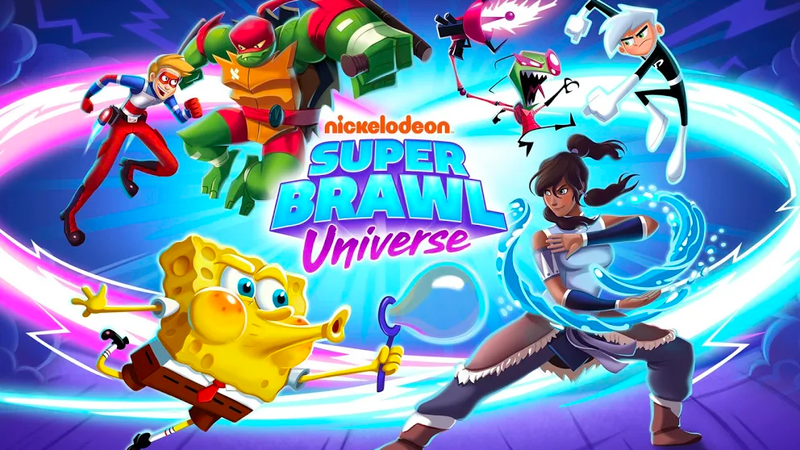 Super Brawl Universe is a mobile fighting game that lets players collect characters from Nickelodeon shows like SpongeBob Squarepants and Rugrats, and take them into battle against other real players. Players start with a single character on their team, but they’ll quickly unlock more as they complete battles. Players can mix and match characters from different shows to form the perfect three-character team. For instance, if you want to form a team with Patrick from SpongeBob Squarepants, CatDog, and Angelica from Rugrats, you’re free to do so. During each battle, players can use a combination of tapping and swiping controls to deal melee damage to their opponent, or protect their own character from attacks. When one player has their health bar completely drained, the battle is over. Players can participate in either 1-vs-1 or 3-vs-3 battles against other real players, but identities are hidden behind in-game usernames. To protect players, each player selects their in-game username by combining words presented by the app itself. They can’t create their own username from scratch, so parents don’t need to worry about names containing personal or inappropriate content. As players win battles, they’ll receive treasure chests containing a variety of in-game rewards, such as new characters, points for powering up specific characters, and Slime, the game’s main currency. Once players collect the required number of points for an in-game character (for instance, 50 Angelica points), they can spend the points, along with Slime, to level-up the character, improving their strength. While Super Brawl Universe is free to play, it does contain opportunities to spend real money. For instance, treasure chests take time to open, but players can spend premium currency to skip the wait. Players can also purchase chests and other in-game content instantly with premium currency or real money. Make sure you turn off in-app purchases (or otherwise protect your account from unauthorized spending) before letting little ones play this game. Super Brawl Universe is available to download for free on iOS, Android, and Amazon devices. The game is rated E10+ for Everyone 10+. Check out the first eight minutes of Super Brawl Universe in our SuperParent First Look below to see if this is a game your family would enjoy.